Click Connections then +Add Connection. Select which type of database you would like to add, and enter the requested information. 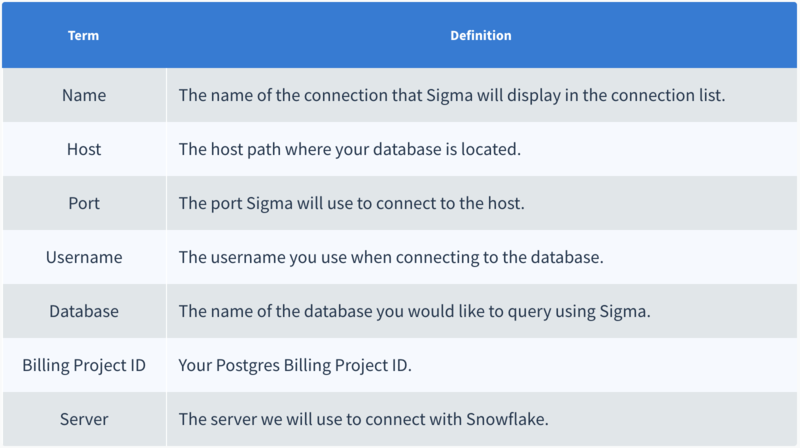 When setting up your database, you can assign Teams different levels of access. Admin: Can update the connection and the access list. Author: Can view the tables in the data warehouse and can create or edit worksheets which access the data directly. Reader: Can only access the database indirectly through worksheets created by Editors or Admins. Viewers will not see the database in their list of connected databases when creating a Worksheet. Users that are not on the access list cannot access Worksheets built on top of the database connection.